Drug and alcohol addiction is very prevalent in today’s world. Many people’s lives has been changed and many couples and their families have been broken because of it. So, the fight against it has been tightened and various programs have been created to help these people live a new and better life. Congratulations! You and your partner have successfully recovered from addiction. For sure, you have faced a lot of obstacles along the way towards your recovery. However, it doesn’t end there. In fact, it is very much possible for you to experience relapse any time. Hence, as early as possible, you should equip yourself with the knowledge on how you can prevent them, with a relapse prevention plan. First of all, you need to be aware of yourself. Is your behavior changing? Are you isolating yourself from the others again? You can also ask your family and friends if they have seen certain changes in your behavior. If you think that you are feeling anxious often, then you should do something about it. You can practice relaxation techniques or anything that can calm yourself down. Oftentimes, the best way to prevent relapse is to go visit a professional regularly. This is because they utilize different techniques and therapies to find which one works best for you. They also know the best ways to make you sober. They can also provide you ways on how you can cope up with situations that are likely to encourage you to use drugs or drink alcohol again. Rehabs for couples offer treatment for both parties, and part of the therapy is to spot the triggers that make one or the other in the relationship use. Use the knowledge you and your partner learned to spot these issues and deal with them before a relapse occurs. If you feel the urge to use drugs or drink alcohol, then you should try and do whatever it takes just so you can distract yourself. For example, you can go for a walk or exercise. You can also meet up with your friends, have a chat with them and tell them what you are feeling right now. Surely, having someone to talk to would make you feel better. Just think of something to do like your other hobbies just to occupy yourself. Believe it or not, you are not alone. You are not the only one who suffered from drug or alcohol addiction. Just watch the news, there are a lot of people who are like you as well. Hence, you can consider finding someone who have gone through the same situation as yours and someone who have completely freed themselves from addiction. They can provide you great support in times when you find it hard to deal with the urge or temptations around you. After all, they know what you feel and they can relate with you as well. So, now that you have been provided with relapse prevention tips and techniques, there is no reason for you to experience a relapse after all the things you have gone through. Of course, you also need to be consistent with your recovery process. With that, you can expect a better life ahead of you. Jail diversion programs are considered as an alternative way of sentencing and rehabilitating the non-violent alcohol and drug offenders as well as those who are suffering from mental disorders. Such programs has been created to avoid unnecessary and wasted time in a jail. Communities have decided to turn to it as they believe that it is capable of meeting the rehabilitation needs of these individuals. Instead of requiring them to stay in the jail, they are then required to receive treatment in recovery centers within the community. The primary goal of jail diversion programs is to help these offenders to go back to the community and address the scenarios that led to them committing the crime. As compared to spending time in jail, they are given the chance to keep their current job, which is a big deal as it allows them to continue supporting themselves and their family. It’s not only that for they can also remain productive in the community where they belong. In some cases, the charges that have been filed against them can also be removed from their record. This is exactly the reason why it has been growing in popularity in the different parts of the world. For the court and prosecutors, it is mandatory for these individuals to receive the treatment that they need. While they are in the treatment center, they would then need to participate in a group or individual counseling. They would also be taught ways on how they can keep themselves away from drugs or from alcohol. In some facilities, they also formulate plans to avoid relapse in order to help these individuals achieve long term recovery. A couples rehab allows the person to attend the treatment center with their partner if they are struggling with addiction as well. There are 3 common types of jail diversion programs and the first one is the prebooking diversion, which takes place before one has been filed with charges against him/her and before they are sent to jail. It usually involves the collaboration between the police and the rehabilitation facility. The next one is the postbooking division in which the person has been charged with a crime formally and has already been arrested. The last one id the drug court in which drug treatments and judicial supervision is combined, especially for the repeat offenders. Not everyone is eligible for the jail diversion programs. The only eligible ones are the non-violent alcohol or drug related offenses without any firearm involved, those who are involved in crimes related to drugs but are not facing other crimes that are not related to drugs, those who have been caught with marijuana, drug paraphernalia or cocaine, especially while they are driving, individuals who are cultivating marijuana for their personal use, those who have forged the prescription of narcotic drug for their personal use, those who have asked another person to acquire illegal drugs and those with DUI and other offenses that are related to drugs. So, if you are one of them, then you are eligible for it. Typically, drug and alcohol addicts cannot address their addiction on their own. That is why substance abuse treatment centers were created. However, there are a number of people who experienced a relapse after the treatment. This is because the program is short or the patients quit due to some personal reasons. To effectively address the problem, healthy life skills training should be developed as it is an effective solution to attain a successful sobriety. All treatment centers should have important tools, resources and techniques in order to help many people overcome their addiction problems. Based on the study of the Journal of Studies on Alcohol and Drugs, they have found out that alcoholics who have strong life skills successfully enhanced the quality of their life. In other words, those drug addicts and alcoholics can overcome their condition through the help of the basic life skills. It is also said that they are essential steps towards achieving a lasting sobriety. Most addicts and alcoholics are mainly concerned about obtaining enough amount of money to satisfy their habit. They are after feeling high as well. They lose touch on how to handle daily responsibilities and confidence when it comes to their capacity to do so. In this manner, life skills training is very imperative to help them experience a lasting recovery they deserve in the first place. Through the help of a couples treatment center, they will realize that they can still do all their basic obligations in their lives. However, the center for alcoholics and drug addicts should be relevant and responsive so that the issue will be addressed effectively and successfully. By having enough resources and well-equipped people, they will no longer use drugs and take alcohols. Their family relatives, friends and other individuals will surely have peace of mind. For recovering drug and alcohol addicts, creating a healthy routine is considered the most important life skill. All treatment centers put those people in various activities that can assist them to adhere to a schedule. These encompass of therapy and leisure time. Every authorized institution should integrate daily routines on a daily basis because it is salient to support recovering addicts to have a sober and healthy lifestyle. In addition, it can help them fight their bad habits. It is said that drug and alcohol addicts can lose touch of doing all basic responsibilities. Say for instance, they can completely become unaware on how to efficiently handle finances and other related situations. In this way, they should learn financial stability capabilities in order to get rid of the problems associated in taking drugs and alcohol. As a person who has financial stability, they can learn on how to live within their means, take care of all their obligations and use money in a responsible way. Many people who are addicted to drugs and alcohol overlook the importance of nutrition and hygiene. That is why a recovery program should integrate light exercises and a healthy diet. In fact, nutrition is an indispensable life skill for rebuilding minds and bodies as well. When they have been damaged of addiction for long years, nutrition and regular exercises could be a huge support. To achieve the best results among addicts, all treatment centers should have dietitians. As a result, they will be properly and professionally guided in return. The environment where individuals live is a significant thing on how they think and feel about themselves. So, recovering addicts should be aware on their personal responsibility. They should learn to clean their own rooms, organize all their belongings and take charge for their entire living space. When you have a relative who has been having a hard time getting rid of his/her bad habit, you can count on a treatment center a lot. Furthermore, he/she will become personally responsible. 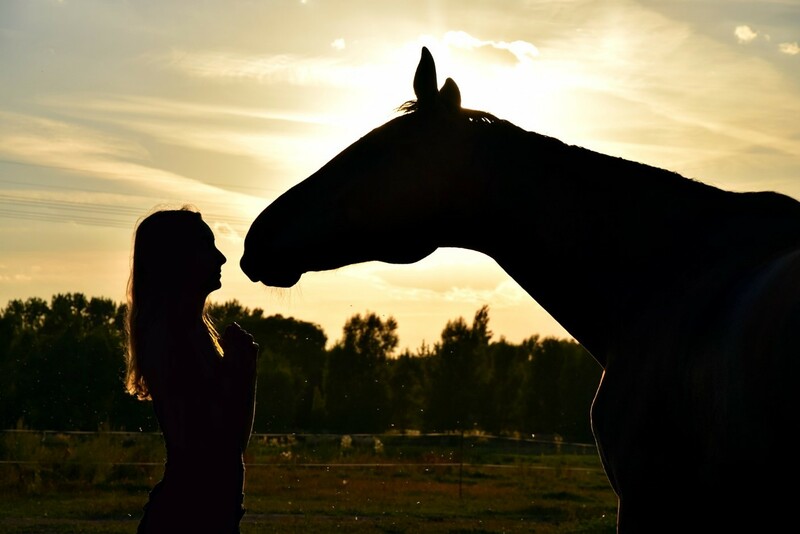 Many rehab centers incorporate pet friendly tracks and equine therapy into their curriculum’s. This allows patients to not only learn personal responsibility but also the responsibility of caring for another living being. Most addicts experience a lot of difficulties when it comes to their mental health disorders that require a holistic medication. Meaning to say, the individuals deal with other dilemmas. Mental health issues and addiction should be totally addressed as they are interrelated from each other. They should know how to manage medication in a responsible and safe manner so that they can fully achieve a healthy lifestyle in the near future. At first, medication management could be a difficult thing to do. As time goes by, they will realize that the process is just a breeze with the help of a qualified and reliable recovery center. It should likewise have amazing people to provide proper care, compassionate attention and sympathetic love. With that, addicts will be able to acquire the skill to manage their medication within the required time as possible. Some recovering addicts choose to use drugs to help ease the cravings for drugs or alcohol. One of the more popular medications available is Naltrexone. If can be taken orally, but some are choosing to have a Naltrexone pellet implanted into them. There are 2, month, 6 month, and even implants that last upwards of a year depending on the patient. These implants reduce the risk of relapse because they block the sensors in your brain from felling the “high” from certain drugs. Addicted individuals are considered intrapersonal. They experience various difficulties when it comes to loneliness. Acquiring the ability to interact is a prerequisite among drug and alcohol addicts. Through the help of a recovery program, one of the life skills training that patients will encounter is to socialize to a group of people. Recovering in a relevant center can help them avoid hanging out with their old friends who are a bad influence. Indeed, life skills training in a recovery program could be a huge assistance to all people who suffer from alcohol and drug addiction. However, a treatment center should have professional people and other important resources so that addiction will turn to a real happiness. With that, they can effectively help drug and alcohol addicts learn basic life skills. They can become a more responsible, complacent and productive person as well.